You Are Here: Home > How To Reset Check Engine Light on Ram 1500? How To Reset Check Engine Light on Ram 1500? Do you need to reset a check engine light on a RAM 1500? It’s really quite simple. All you need to do is follow the steps below. When you complete those steps, the computer should reset. If you drive an older model, it’s possible that you may also need to drive the truck for as many as 50 miles so that the computer can recalibrate. Another quick note to keep in mind is when the battery has been disconnected, it may reset more than just the computer. It could also reset the security system or other electronic systems inside the truck. Now that you have reset the check engine light on a RAM 1500, you need to find out why the light became illuminated in the first place. Listed below are a few possible culprits. There are several reasons for the check engine light to come on that can range from a loose gas cap to significant mechanical problems. This is why it is important to diagnose the issue in a timely manner. Ensure it’s Really the Check Engine Light: With so many dashboard warning lights, it’s easy to mistake something like the service required light for the check engine light. You should be able to find a key in your owner’s manual that lets you know what each light means. Check Your Gas Cap: The most common reason a check engine light comes on is a loose gas cap. Fortunately, it is a very easy fix. Access the gas cap, remove it, and replace it properly. Then follow the steps above to see if the check engine light goes off. Check the Error Codes: There are a variety of error codes generated by the computer that pinpoint exactly what is causing the engine light to appear. These error codes can be retrieved by using an automotive diagnostic scanner. If you like to do your own vehicle maintenance, you could purchase a code reader. If you are not comfortable with this task, the experts at the Dakota Chrysler Center service center would be glad to help. New vehicles feature many different computer systems, and it can be difficult for the backyard mechanic to diagnose and fix certain issues. 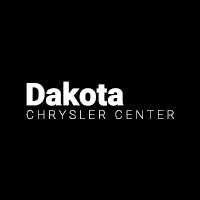 When you notice issues like your check engine light coming on, you can have peace of mind knowing that the professionals at Dakota Chrysler Center have your back. Set up your next appointment today and get your vehicle back to peak performance in no time. If you have any questions, don’t hesitate to contact us.